The Duplo DC-616 PRO Slitter/Cutter/Creaser is the perfect finishing solution for the short-run, on demand digital printer. 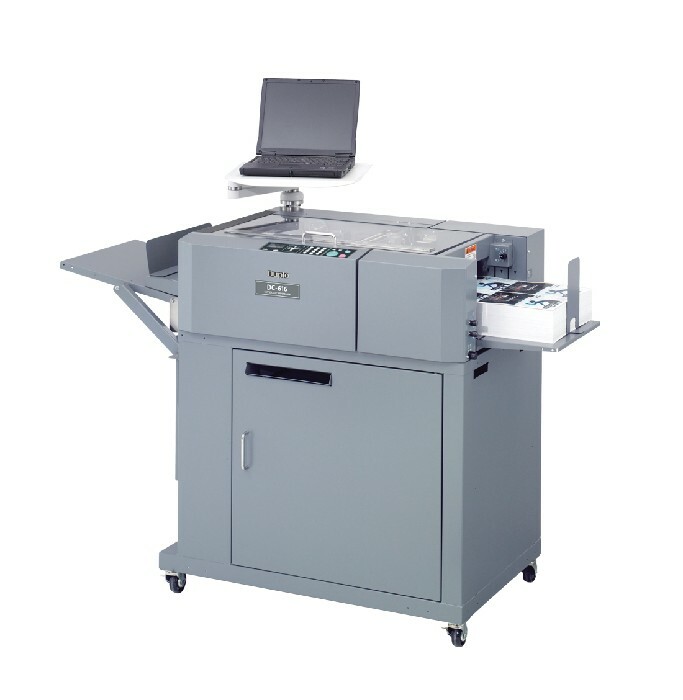 Designed to remove white borders and prevent toner cracking on digital color documents, this all-in-one finisher can process up to 6 slits, 25 cuts, and 20 creases in a single pass – bringing efficiency and automation to your post-press operation. Offering a fully automatic setup and quick changeovers, the DC-616 PRO can finish a wide array of full-bleed digital applications including greeting cards, invitations, brochures, book covers, photos, and 24-up business cards without additional modules required.